We specialize in IT from A to Z! As your go-to technology company, we can repair anything wrong with your computer! 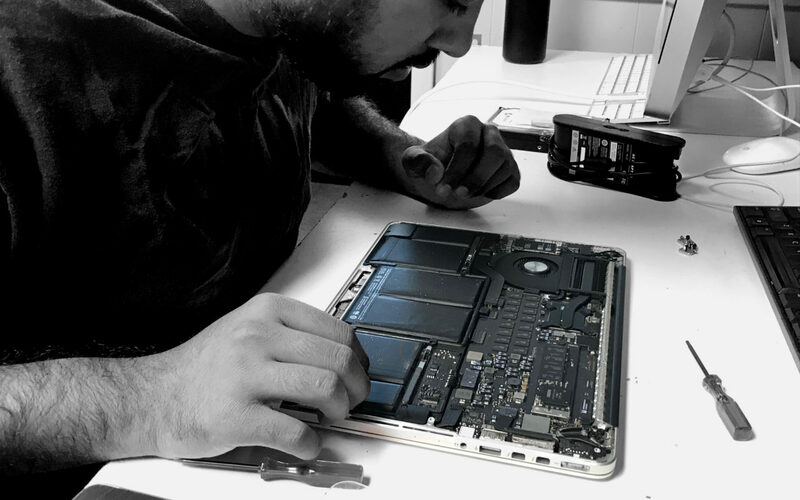 No matter it’s a fried motherboard or a juiced-out battery, we can perform any repair on your computer for an affordable price that fits your budget! Got a malfunctioning computer? Mechanical problems? Send your computer to Vanguard Solution and we’ll diagnose and give you the best options to fix your computer. We guarantee to resolve all your computer related problems and get your computer back up and running so you can get back to your work. Don’t want to pay a high price for computer repairing? Vanguard Solution will give you the best price quote as possible, our price will beat any other IT company in the industry. We guarantee quality and you will never go wrong with Vanguard Solutions! Macbook or PC? Device not booting up properly? Computer Virus? System failures? Bring it to Vanguard IT Solutions! We offer operating system related repairs, hardware and software installations, system upgrades, and much more! Just leave your computer with one of our skilled technicians and we will get it fixed. Do you know what is wrong with your computer? Don’t want to fix your computer and just need a new one? Tell us what you want and we will get a quote for you! Have a computer that can’t be fixed and you don’t want to spend too much on a new computer? Tell us what you want on our request form, and we will give you the best quote for a new or used computer at a reasonable price, in addition to a guaranteed quality. Whenever you want to get a computer and don’t want to spend too much at a retailing store, let us know! You will never regret getting a computer through us. We can guarantee the best quality with the lowest price possible. We accept credit cards, checks, and cash! Any paying method you are most comfortable with, we will take it! Moreover, you don’t need to pay until your computer is fixed and functional upon your pick up. Simple, easy, and quick payments without any hassle! The same problem shows up? bring it back to us! Vanguard Solutions never compromises on quality. Not only do we have a “No Fix No Pay Policy”, but also our services come with a 30-day warranty. If the same problem comes up on your computer within 30 days, please bring it back to us. We guarantee we will fix it for free and make sure your device is working properly. We offer a risk-free diagnosis on your computer with a $20 diagnostic fee. However, if you decide to fix your device with us, the diagnostic fee will be waived from your bill. We never charge excessive, therefore our prices are absolutely affordable. We guarantee that you will get the best service at an affordable price.